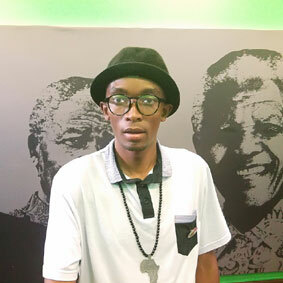 My name is Thabang Molefe, “the new kid in the block” within tour guiding. I have worked in the sports & events industry where I discovered my passion for tourist guiding. I enjoy the opportunity to meet people, I am an outgoing person who loves discovering new attractions and would like to make environmental education interesting and accessible to everyone. I have always been fascinated by the amazing attractions that South Africa boasts and I now look forward to guiding tourists to Mzansi’s finest destinations. I am committed to give excellent customer service to valued guests and become a great ambassador to South Africa. With the training I acquired from Tourvest Guide Academy, I was able to refine my guiding skills. I can speak various South African languages.